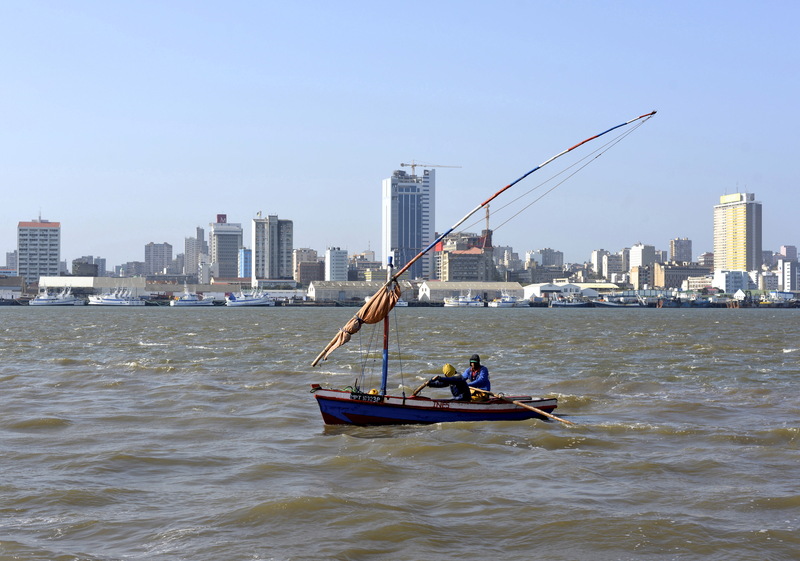 Traditional fishing boats sail as Mozambique's tuna fleet sits in dock beneath Maputo's skyline, in this picture taken August 15, 2015. Mozambique said on Nov. 6 it had reached an agreement with the bulk of its creditors to restructure a $726.5 million Eurobond, on which it had missed several repayments. Proceeds from the initial $850 million Eurobond, arranged by Credit Suisse and Russia’s VTB, were meant to go towards building a state tuna-fishing fleet. However, much of the money was spent on maritime security and the fleet failed to catch enough fish to repay the loan. Under the restructuring deal, Mozambique will issue a new $900 million Eurobond, maturing in 2033 with a coupon of 5.875 percent. Bondholders will also receive 5 percent of future fiscal revenues from vast offshore natural gas reserves, capped at a cumulative $500 million and ending in 2033. The government expects gas production to start in 2021.